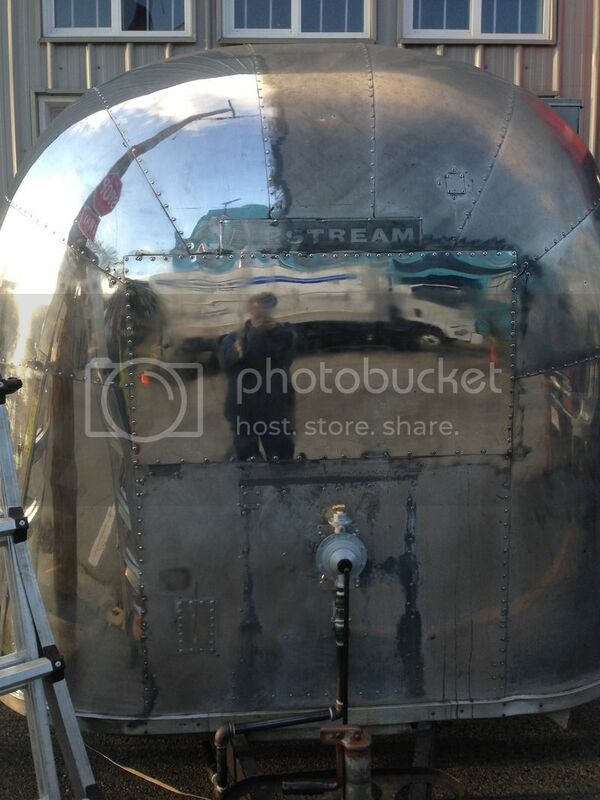 I have been building a 1962 airstream food truck for 2 years, finally polishing it. I am cutting with the black bar which is going decent except for the deep pitting everywhere. My question is the best way to tackle the deep deep scratches and how to go about sanding them out properly before cutting it. No way the black will get these out. I'm thinking about starting with 250grit and working up to 600 then using the black from there? Any and I mean any input would awesome. Also , I don't have a cyclo buffer yet and to go from black to red to white... Will the white give me a decent finish? Those look like they need 150 grit to start. Try a finer paper and see. I use a slow turning polisher with a soft pad. This Makita turns at 1250 RPM. I made the adapter because I wanted to use 5 inch Velcro disks. For your job you would need a million of them. Best would be to buy it in rolls and cut the disks out. Cheaper by far. Yes, black and then white compound should do you fine. I've been cutting with the black with a 3000 rpm polisher with a treated air wheel. I hit the scratches at 400 and didn't do much, same with the pitting. At 150 id be scared to burn through the alcad that's on the aircraft grade aluminum ?? what is : alcad : ? the skins on the pre 1968 Airstreams were made from aircraft aluminum 2024T3 with a 0.005 inch alclad finish. 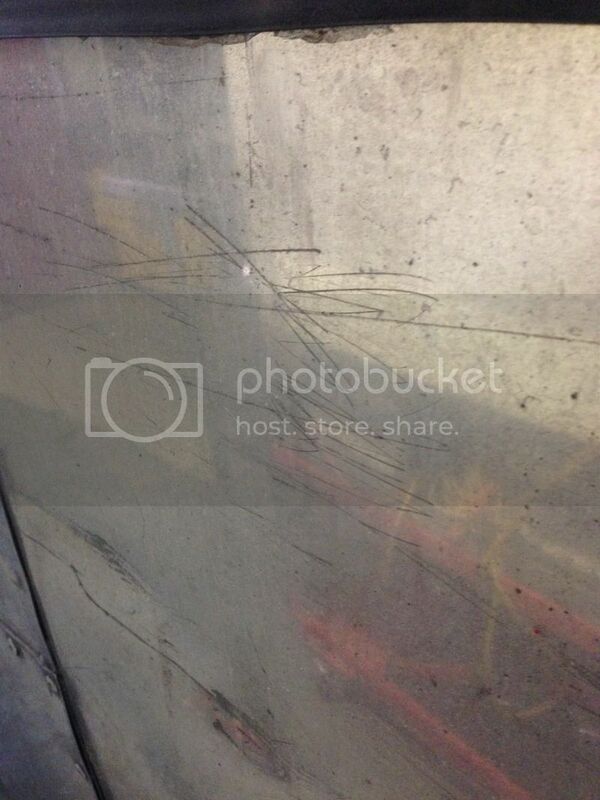 This thin layer of pure (non-alloyed) aluminum is applied to prevent corrosion and give it a better shine. Burn through it and your buggered! if that layer is only .005 inch, the scratches and the pitts in the aluminium are probably deeper than that layer so how do you expect to get rid of those pitts without removing that thin layer ? I'm just asking in general what the best way to minimize them would be, I understand some ain't never coming out, but I'm sure some sort of sanding could help??!? if 400 grit is not enough and 150 is too much then try something in between ,but like said before if your alcad layer is only .005 and you want to keep that layer that means you probably only have about .002 or .003 of an inch of material that you can remove safely. that being said i don t know how good is your eyesight but i don t know of anybody that can sand down a part and be able to see by eye if they removed .002 or .006 of an inch of material. If you can't remove the scratches without removing the Alclad, I offer a suggestion. 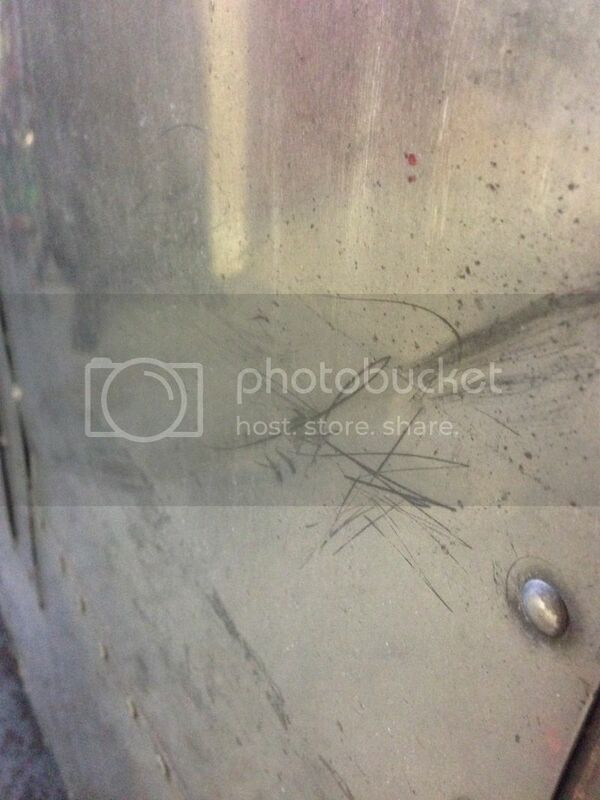 As you have observed, polishing a scratched surface only serves to emphasize the scratches—dramatically. To minimize them you could go to some degree of a brushed finish. Brushed finishes are not really brushed, but are achieved by sanding, stroking carefully in one direction only, with the appropriate grit paper, the grit depending on what degree of brushedness you want to achieve. Practiced on a test sheet first until you have mastered the technique. Based on the pic of the half completed job, I'm thinking that if the scratches aren't bad at 3 feet to leave them be.